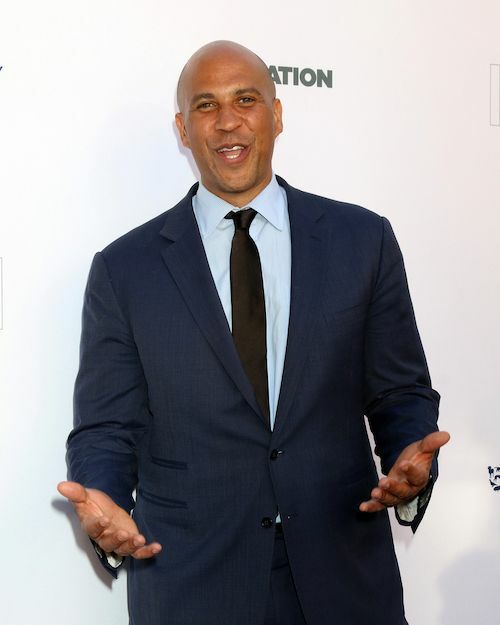 Cory Booker has officially entered the 2020 race for President, just as many expected. The Democratic Senator from New Jersey - who still lives in the same low income neighborhood he's lived in since he was Mayor of Newark over a decade ago - made his powerful announcement this AM. It's no coincidence (NOTHING is coincidence with any political candidate, btw) he announced on the first day of Black History Month. His announcement started off telling the story of his family (consisting of two biracial parents) being discriminated against, because of their skin color, when trying to purchase their first home. He spoke about the politicians in the community coming together to make it right. That is not the call. The call is to unite with people around our shared values and ideals. Too many of us focus on the hate of the some and not the limitless potential strength of the active many. There, he explained why he's not taking money from PACs or corporations. Like President Obama did, he's putting emphasis on small donations from the public, because he believes the people is where the power lies and where change happens. We’re building this campaign together the right way: I won't take a single dollar from corporate PACs or federal lobbyists. Our campaign will be funded by real people -- like YOU! As for race in America, he's not backing down like many do about telling the hard truths. On having the patience to navigate a VERY partisan country, he told co-host Whoopi Goldberg he had to work with a Republican Governor (Chris Christie) on shifting focus from gentrification to investing more in affordable housing. "This can't be about avoiding the hard conversation. It can't be about telling the truth of race in America. In fact, I can't stand when people try to white wash our history, or try to Santa Clausify people like Martn Luther King who was against the Vietnam War and for economic justice. We need to have the hard conversations and telling the truth is the beginning of reconciliation." He's also made a few strategic moves already. He talked up his family in Iowa (a major state any candidate needs to win in primaries and the general election) and his campaign manager is Addisu Demissie, a black male from California, and the Senator's pretty fluent in Spanish. He called into Univision to chat this morning. Shout out @CoryBooker for getting off the radio and immediately texting me about a high school student he met in 2018 who texted him and wants to volunteer for us. As for Trump's mouthpiece KellyAnne Conway, who said this morning Sen. Booker just sounds like a Hallmark card, he's already made it known he won't be running as a candidate who contributes to the toxic, bullying environment politics has become. Sen. Booker joins fellow Dems Sen. Kamala Harris, Sen. Kristen Gillibrand, Julian Castro and more in the race. NEXT: Queen Nicki Minaj Rules The Underworld In 'Hard White' Video - Did She Shade The Grammys? And What's With The Scorpion Reference....Draaaaake?